I thought I would jump in on the End of Year Book Survey over at The Perpetual Page-Turner. Looking at the pages linked there, it was a big year for fiction. My reading list is mostly non-fiction, but I have read 42 fiction books this year so far (including narrative poems). Almost everything I’ve read was older work, so this is a bit of a classics round up. If by best book you mean most evil, it is definitely Cormac McCarthy’s The Road. My blog comes out February 4th, 2014. 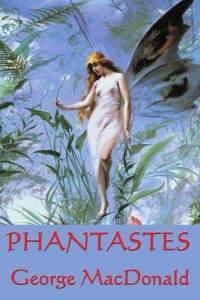 I was looking forward to reading George MacDonald’s Phantastes for some time. I loved The Princess and the Goblin and The Princess and Curdie. Most of all, this book blew C.S. Lewis’ mind, opening up entire worlds of intellectual and spiritual possibility. But I didn’t love it. I did like the story-within-a-story of Cosmo. I bet I’m the only one to have this on a list. For me it is F. Anstey’s Vice Versa. This 1882 book is pretty obscure, and I heard of it while reading Richard Dawkins’ The God Delusion. Dawkins mentioned a character named “Bultitude,” and C.S. Lewis has a prominent bear in That Hideous Strength named Mr. Bultitude. So I thought I would give it a read. To be honest, I wasn’t looking forward to it. Victorian literature is not my cup of tea (see what I did there? ), and I’m not big on aristocratic settings. However, I loved this story of a father and son who switch places, sending the pretentious father to the dreaded private school, and the irresponsible son to run the family business. The writing is sharp and witty. The fictional device that provides the “magic” of the book is a bit lame, but the poor father trapped in the boarding school is phenomenal. A great story, and free on eBook. This might be a bit of a “fiction” cheat, but my choice is Virginia Woolf’s A Room of One’s Own (1929). It is absolutely brilliant, the thoughts of a lecturer in the 1920s as she prepares to speak on “Women and Fiction.” If you have not read this short book, do so. This was a “series” year for me. In October 2012 I began going through the Middle Earth books, I read through the Time Quintet by Madeleine L’Engle and Doug Adams’ Hitchhiker’s Guide to the Galaxy. I read all the famous H.G. Wells books, C.S. Lewis’ narrative poetry, and have begun the Ransom Cycle. Because I’ve been reading so many great series series, this is tough. Award goes to Cormac McCarthy. John Bunyan’s The Pilgrim’s Progress was quite tough for me, but the award for “out of the comfort zone” goes to Charles Williams. My mind is still broken from his Descent Into Hell (1937), but I loved his The Place of the Lion (1931). You might think I would say The Road, but I did put that one down, and almost didn’t pick it up again. I devoured Earthsea in big gulps, but I would go with Till We Have Faces (1956) by C.S. Lewis. Some think this is his best book. They might be right. I know I will be rereading the Narnia Chronicle The Silver Chair because a film version is coming out. I’ll also reread The Hobbit next year, perhaps listening to the Rob Inglis audio. It isn’t fiction, but I will reread Stephen King, On Writing (2000) again. I am finishing up Paradise Lost this week, and will have to read it again. But I would say, Virginia Woolf, Mrs. Dalloway (1925). I’m not sure if I fully understood this book. 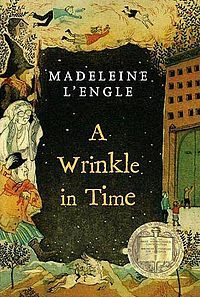 Rediscovering Madeleine L’Engle’s Meg was great because she is such a flawed character. There’s also Arha-Tenar and Puddlglum and Pi, as well as Woolf’s fictional self in A Room of One’s Own. But, since she was new to me, Prue from Wildwood. The Road is sparse, dry, brittle, haunting, beautiful. Ursula K. Le Guin is perhaps the most literary fantasy writer I know, save Guy Gavriel Kay. I will go with Voltaire’s Candide (1759). It really is incredible. In the nonfiction world, Marilynne Robinson’s When I Was a Child I Read Books (2012). Candide always inspires me to rewrite it for today. A Room of One’s Own and The Road are still rumbling in me. 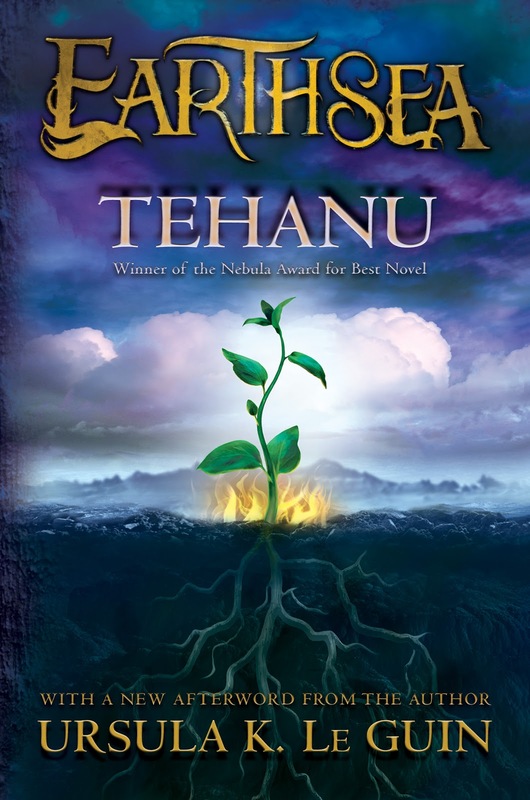 But I will go with Ursula K. Le Guin’s Tehanu (1990). The way that Tenar’s voice develops, how she finds herself—I’m still thinking about it months later. In the nonfiction world, it would be Sallie McFague, Metaphorical Theology (1982). Almost everything I read falls into this camp. Pilgrim’s Progress was my big “you can do it!” read of 2013. But, there are others: Franz Kafka, Metamorphosus (1915), H.G. 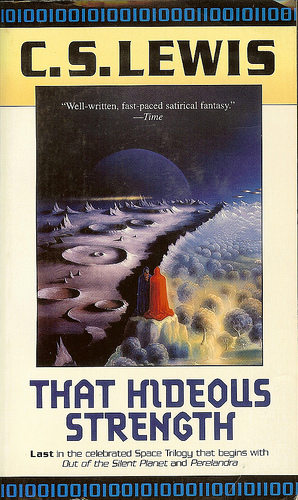 Wells, First Men in the Moon (1901), and Doug Adams, Mostly Harmless (1992). I love short books, and won’t take the time to rate them, but H.G. 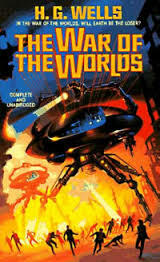 Wells’ The Time Machine, Voltaire’s Candide, or any of the Douglas Adams books. Because I read digitally, I don’t know what is longest. It might be The Life of Pi (2001) by Yann Martel, or it might be Wildwood (which has bigger print) or The Fellowship of the Ring. Charles Williams’ Descent Into Hell felt the longest. The longest book I read this year was Erich Auerbach’s Mimesis: The Representation of Reality in Western Literature (1946). This book is 550 small print pages with 3 page paragraphs. He does not translate the Latin, and there is a 30 page introduction just for fun. 17. Book That Had A Scene In It That Had You Reeling And Dying To Talk To Somebody About It?! A Room of One’s Own, most definitely. It keeps coming up. But I was amazed with what Lewis did in Till We Have Faces. Definitely Ged and Tenar in Earthsea. A strange romance that tells us as much about the changes of culture as it does about the characters. A very tight category, so it would have to be Till We Have Faces, which I didn’t see coming. Every book I read is by recommendation. I’ll go with an indie author, J. Aleksandr Wootton, Her Unwelcome Inheritance (2013). It is really the first part of a very long book rather than the first book of the series, but I quite liked it. It is a thorough fairy story, less dark than Holly Black but drawing on the grand traditions. If you like Spiderwick, Narnia, The Hobbit, and Shakespeare, this is for you. Umm… I’m probably in the wrong demographic for this one! Let me ask my wife. 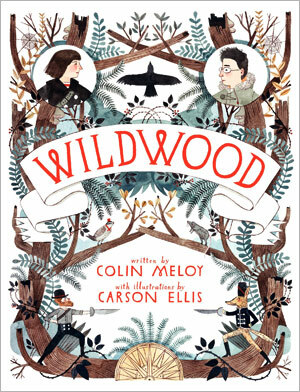 I only read two: Wildwood, a children’s fantasy, and Her Unwelcome Inheritance, a modern faerie tale. I would recommend either. For me, Madeleine L’Engle is worth noting here. Though Tolkien is the most thorough, I have not read everything yet. I did not read all of Narnia this year, which I find quite vivid. 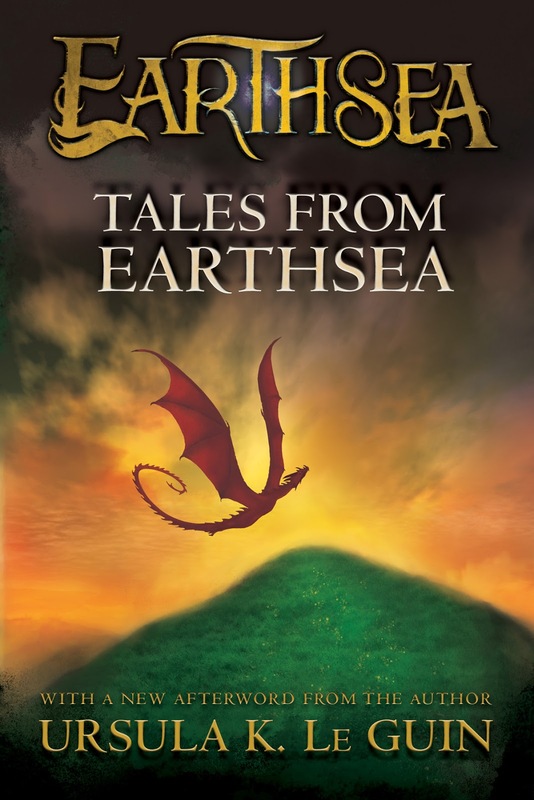 Earthsea is a great place-based series. But L’Engle’s universe is complex, a sophisticated mix of space and time travel, moving through the planets or into the microscopic or back to the prehistoric. She does not always succeed. I think her attempt to throw characters in to the mythic world of Many Waters pushes the bounds of her world, and I find the characters to be stock. But, overall, she does a remarkable job. I am reading An Acceptable Time now, the last book, which I didn’t know existed! I’ve never had an experience like reading The Road. But I tend to cry reading. And at weddings. I find this hard to predict. The indie Her Welcome Inheritance, of course. I think that Ursula K. Le Guin is forgotten in this generation, which is a shame. I was surprised that it took so long for Life of Pi to make it to screen, but it was an amazing film adaptation. But, most of all, C.S. 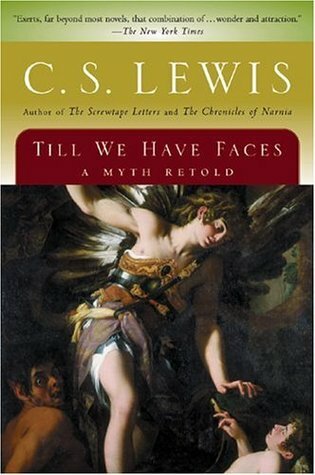 Lewis’ Till We Have Faces was overlooked in the 50s, and has not had a revival. This entry was posted in Reflections and tagged books, C.S. 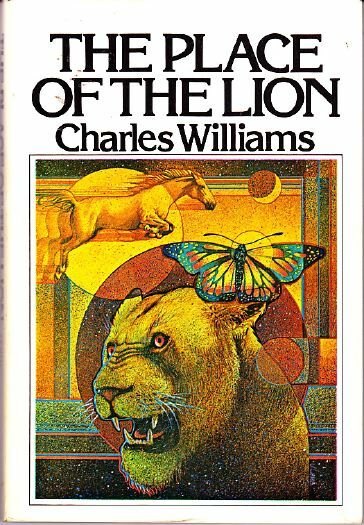 Lewis, Charles Williams, children's literature, Cormac McCarthy, fantasy, George MacDonald, J.R.R. Tolkien, literature, Lord of the Rings, Madeleine L'Engle, Narnia, Stephen King, ursula le guin, Virginia Woolf. Bookmark the permalink. I love reading these kind of year-end lists. Some of the books/authors you mention have been on my “you ought to read this” list for a while. I’m inspired to get them read. I’m also inspired to keep track of what I read this year so I can do a reflection like this next December. We’ll see. My son and I were just discussing The Road this past weekend. It is indeed a haunting and beautifully written book. Great post. 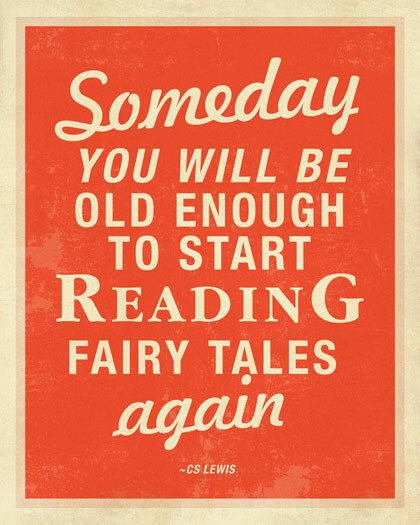 Happy reading in 2014! Thanks for the note. I finished the Road a month ago, and it is still quaking in me. I too love books. When I am asked what book I have read that has had the most impact on my life, I most often say, “Till We Have Faces”. My hope is that just as it took the world a long time to find and appreciate Bach, the same will happen with “Till We Have Faces.” Because I taught a class in modern myth for over fifteen years to public high school students, I read it many times. The two scenes where Oruall first sees the outlines of the palace and then later the god himself always affect me as if it is the first time I have read them. I weep because those scenes are about me and how we often ignore truth, even though we see it (however dimly it appears), and even though by ignoring it we are going to hurt people we love. One day I got to my car after school, and one of the loveliest and kindest young women I had ever taught was standing by my car and weeping. I asked what was wrong, and she said, “Oh, Mrs. Campen, I am Orual.” I started to object when I realized that I would be interfering with her own facing of herself and working it out. And so I listened and made very few comments. But her comment that day, began to change how I read the book. 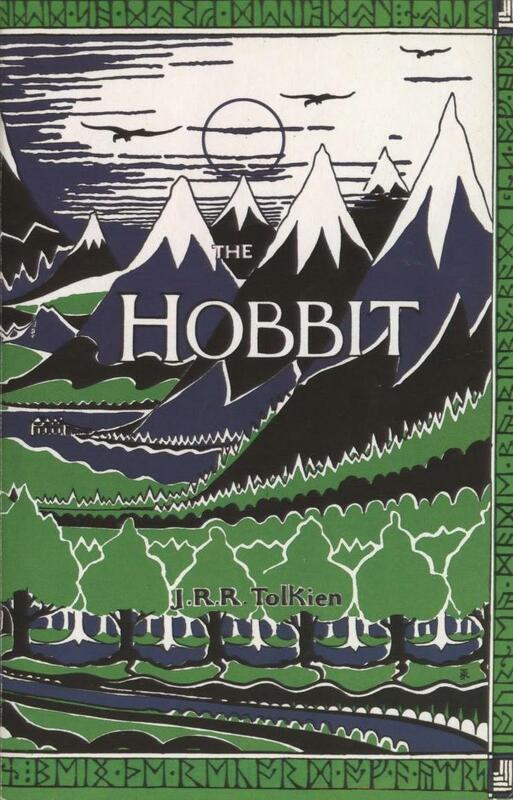 Every semester I planned a field trip for any students who wanted to to go the Inklings collection at Wheaton College and to visit Clyde Kilby’s class on Tolkien and Lewis. During one of these visits, Dr. Kilby was leading a discussion on “Till We Have Faces.” He began the discussion by observing that Lewis wanted us to admire Orual because he, Lewis admired her. She was a good person and an excellent ruler who treated her subjects well. I didn’t like Orual. I thought that she was self centered. But what happened is that both my experience at the car that day and Dr. Kilby’s opening observation in his class several weeks later, transformed my next reading of “Till We Have Faces” and every reading thereafter. I agree that this book is probably the best of Lewis’s fiction. You probably know this, but Clyde Kilby wrote to Lewis and asked Lewis what he Lewis was trying to get at when he wrote “Till We Have Faces.” He opened his letter with a sentence that goes something like this. I have enjoyed the emails that come to me. And I found you because of a post you had about Frederick Buechner, another favorite of mine. Thank you. I love this comment. Thanks! I too love Buechner’s work, and a late-comer to TWHF. I too am Orual. She is powerful, and regal, intelligent, witty, and strong. I think she begins well but her love sours and moves inwards. Is that not our constant tension in life, to resist the gravity of self-obsessed love? I have been to the Wade once, and again this spring I hope. But I was too late for Kilby. I have read the Kilby letters, but must return to them again. Beth, I can completely resonate with your thoughts on Till We Have Faces. It is a book that doesn’t seem like it would have that sort of impact on a person but it works its way into you. I can hardly read the last few chapters of it without weeping. Well, there’s no hardly about it; I can’t read the last few chapters without weeping. The Rob Inglis narration is very, very good. That’s good to know. I’d love another way into that book. As long as it isn’t abridged. No, it’s unabridged. I wouldn’t have it any other way. I don’t know if you have an Audible account or not, but they are available there. Yay for Till We Have Faces! You are an impressive consumer of literature, my friend. Wow. Thank you very much for the shout-out! I’m honored to have made the list! If you wouldn’t mind changing the link – I don’t actually use that site at all, I just keep it as a placeholder. http://www.jackwootton.com/#!books/cnec is the better place to direct folks to, or perhaps the book’s goodreads page, https://www.goodreads.com/book/show/18241308-her-unwelcome-inheritance. Mr. Wooton himself! Glad you caught this. I have made the change. I have to pick up book #2, but my wife stole the Kobo. Soon.